David Huron is Arts and Humanities Distinguished Professor at The Ohio State University, where he holds joint appointments in the School of Music and in the Center for Cognitive and Brain Sciences. Trained as a performer, Huron worked for several years as a composer before turning to research. Among other interests, Prof. Huron is especially interested in how music evokes emotion in listeners. In addressing such questions, Huron's research employs a range of methods, including perceptual and cognitive experiments, computer-based corpus studies, simulation and modeling, interviews and surveys, and physiological and endocrine studies. In addition, his research has drawn on traditional historical and analytic methods. Dr. Huron's research has been communicated in some 150 publications, including three books. Huron has delivered over 400 lectures in 25 countries, including 28 keynote conference addresses. Among other distinctions, Dr. Huron was the Ernest Bloch Visiting Lecturer at the University of California–Berkeley, the Donald Wort Lecturer at Cambridge University, and the Astor Lecturer at Oxford. He has been associate editor for the discipline's two major journals, and has twice been awarded extended research leaves by Stanford University's Center for Computer Assisted Research in the Humanities. Prior to coming to Ohio State in 1998, Huron served on the faculty of the University of Waterloo (Canada), where he held concurrent positions as an associate professor of music, associate professor of psychology, and adjunct professor of engineering. He is currenty active as a member of the board (Fachbeirat) for the Max Planck Institute for Empirical Aesthetics (Frankfurt). 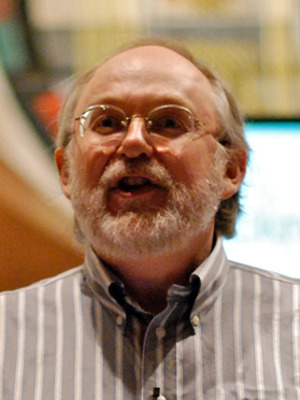 In 2002 Dr. Huron received the Outstanding Publication Award from the Society for Music Theory. His book, Sweet Anticipation: Music and the Psychology of Expectation (MIT Press) received the 2007 Wallace Berry Award, and is available at Amazon.com. In 2017 he was the recipient of the Society for Music Perception and Cognition's Lifetime Achievement Award. Apart from laboratory-based research, Dr. Huron has been involved in field studies on music and globalization in Micronesia.